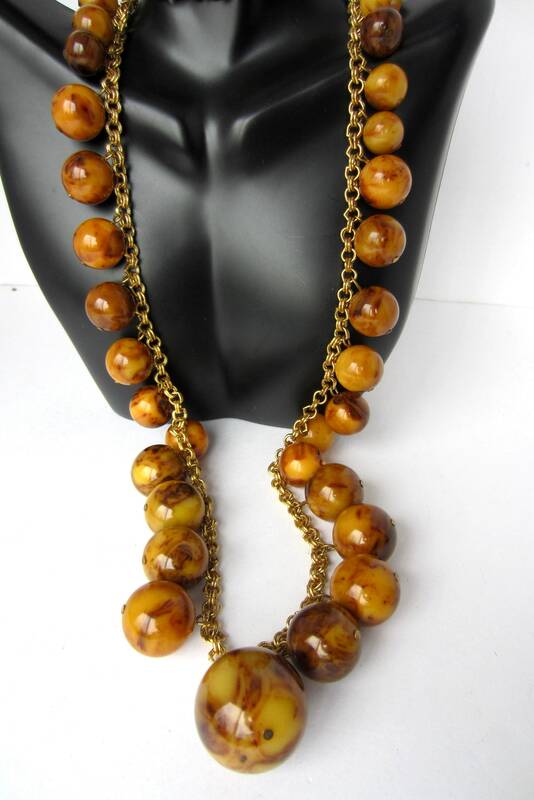 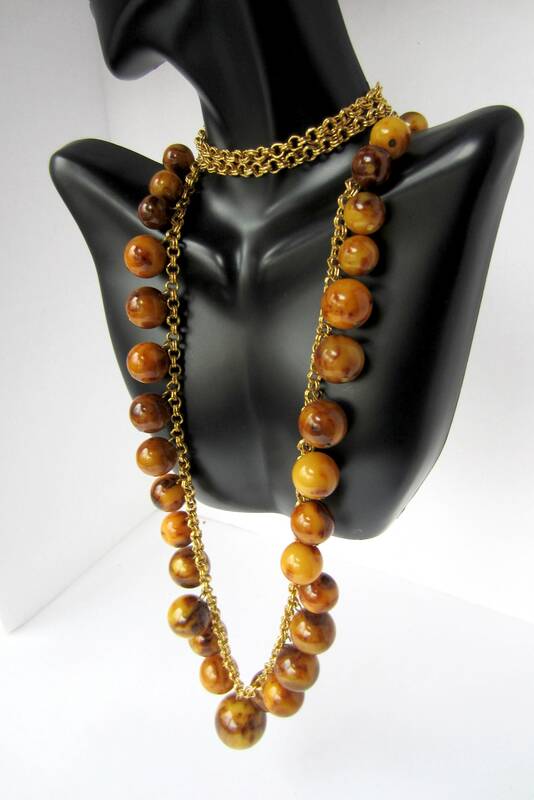 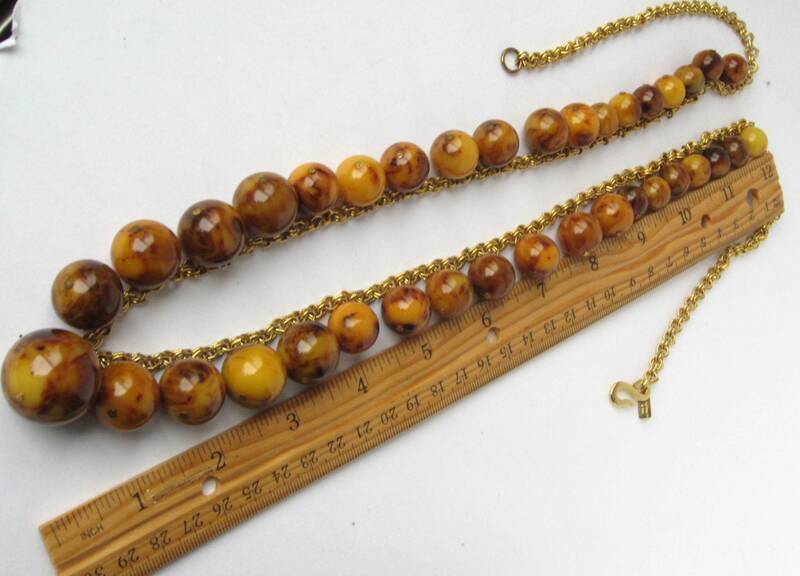 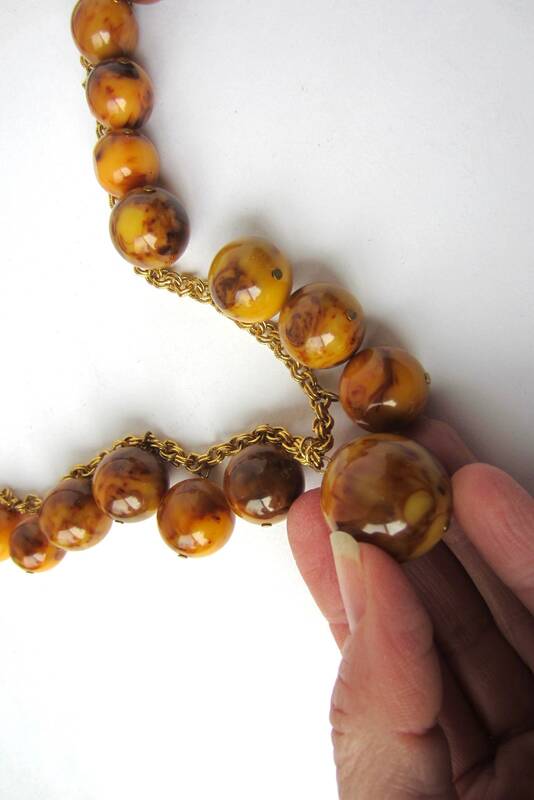 *LISTING: This pretty Kenneth Lane signed genuine *Bakelite bead necklace is a statement-making piece. 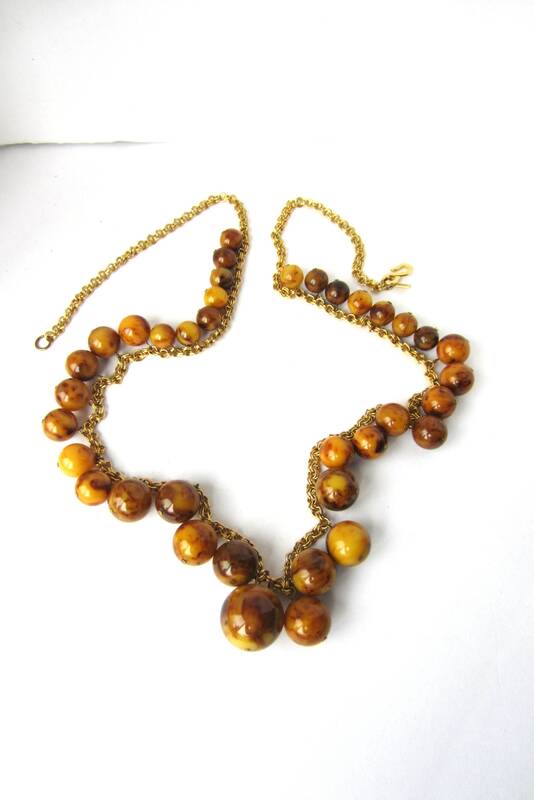 The necklace is created from 37 butterscotch, END-of-the-DAY marbles (beads). 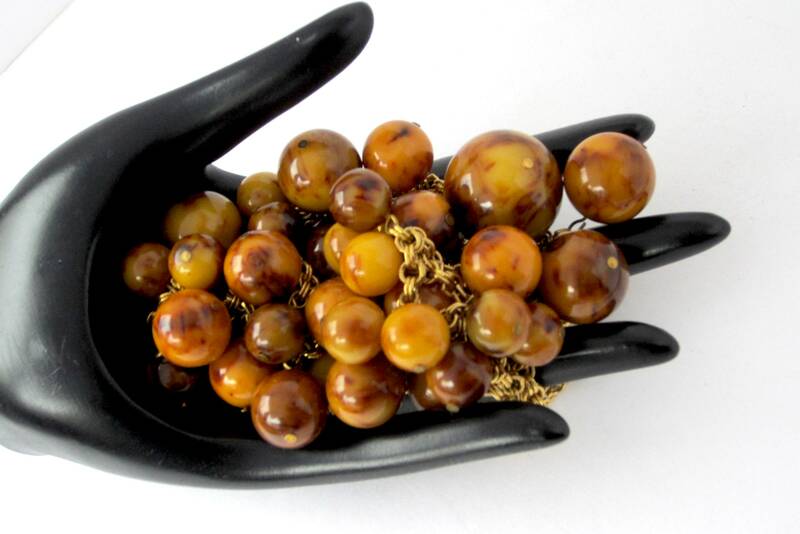 Yellow & deep brown colors melded giving the End-of-the-Day effect. 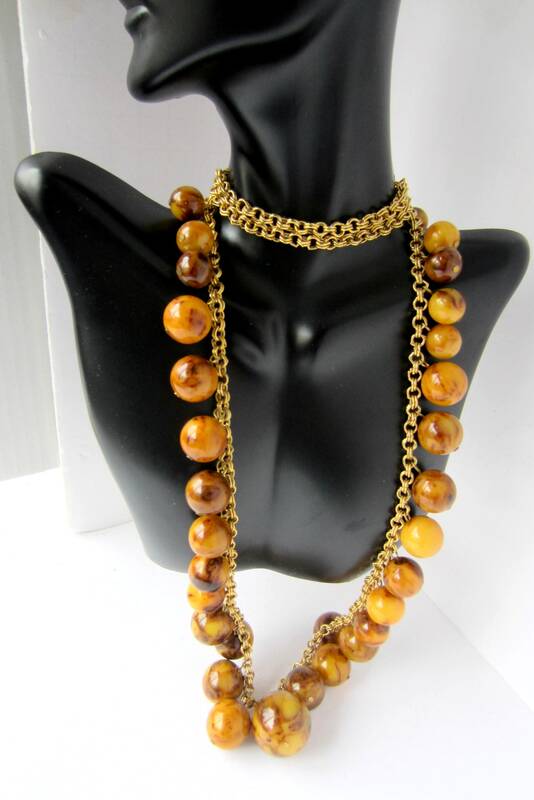 Each bead is suspended by wire on the thick, double jump ring, gold tone chain. 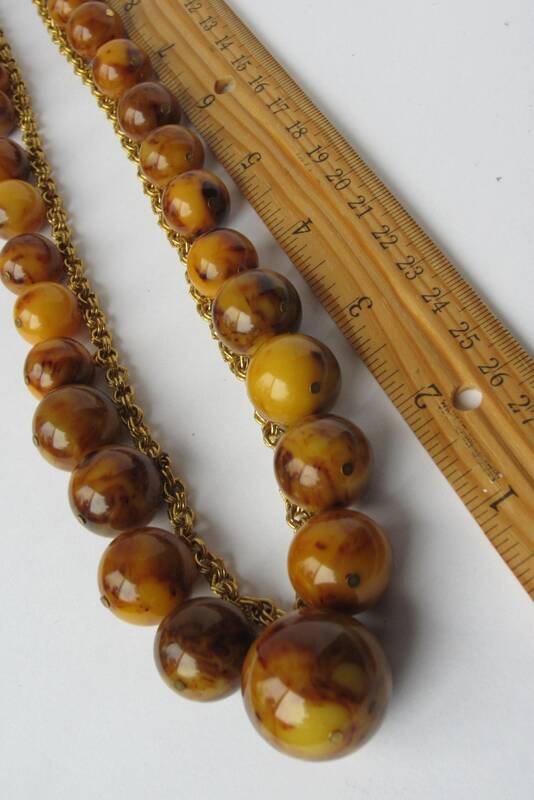 The smallest beads are ~12 mm each. 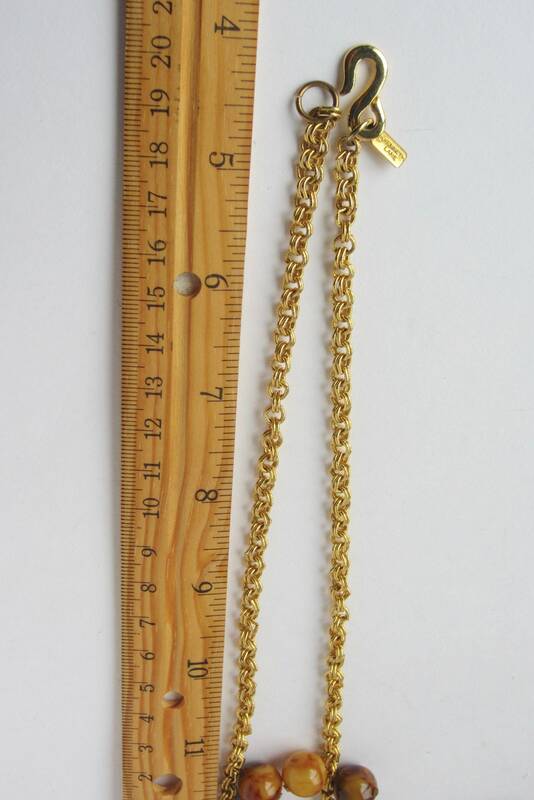 The piece can be adjusted up & down. 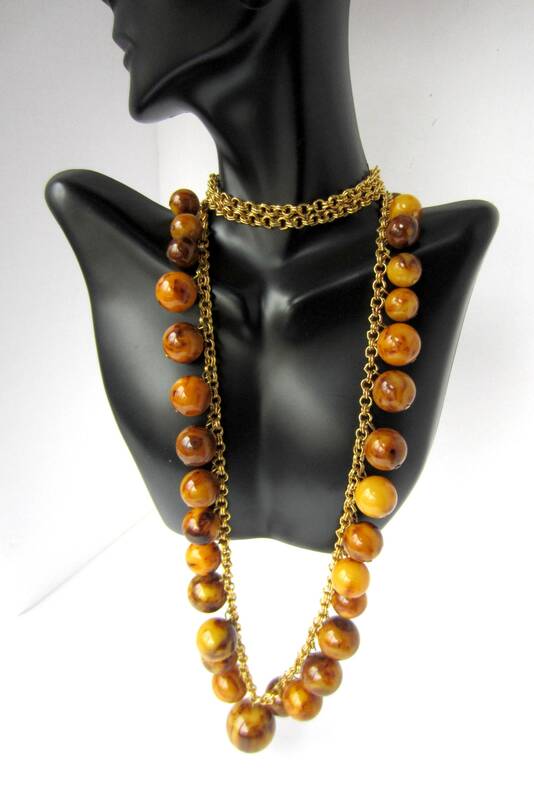 This giant dangling bead necklace “cha-chas” when you move.